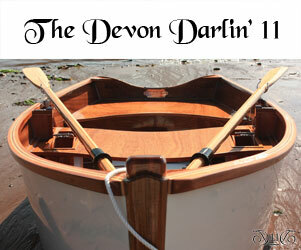 The Devon Darlin Wooden Amphibious Rowing Dinghies - Devon Wooden Boats Ltd. The Devon Darlin’ amphibious tenders fully embrace the spirit of traditional styling while incorporating modern construction techniques and innovative ideas. They have been designed to really turn heads whether at the club, on the slipway/beach, or even on the deck of a ‘Spirit of Tradition’ Super Yacht. 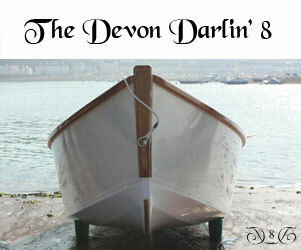 Please click on the pictures above to view details of our boats.